This software provides three erasing levels for you to choose from, so that you can remove any data for protecting your privacy or getting more device storage. No matter you want to remove confidential data and files, or just reset iPhone settings, you can choose one of the three levels based on your needs.This professional software provides you three modes to clear your iPhone iPad or iPod data. 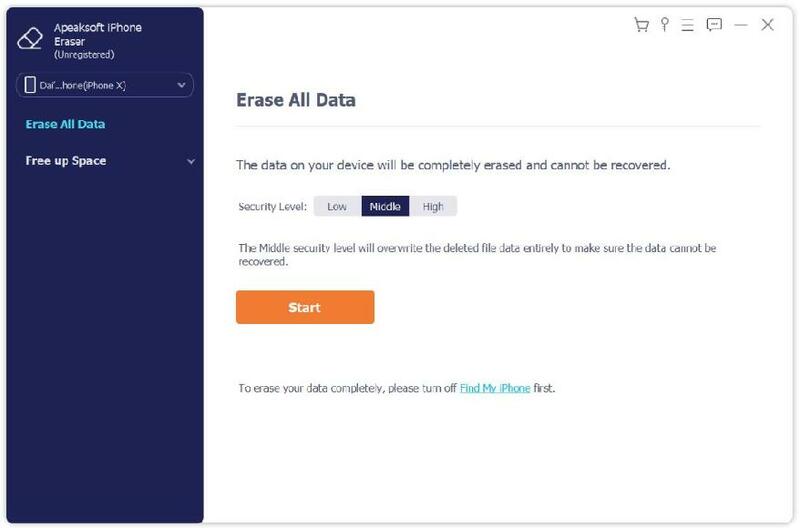 Whether you want to wipe out confidential documents on your job, or erase data for selling the device, you can choose one of the erasing levels to move on.Key Functions:1.Low level: Erase data quickly with overwriting only one time, which can save you time for plenty of data files.2.Medium level: Completely erase all data with overwriting the device for twice, remaining no trace. Nobody will know the data on your device is erased.3.High level: Destroy data thoroughly with overwriting data for three times, which is the safest and most radical way to get your device started with a clean slate.4.iPhone Eraser enables you to erase data with more than one device simultaneously. GroupWise to Outlook address book conversion is now easy and too simple with NAB converter. Now NAB converter is totally free of cost as demo version. Just download and perform single as well as bulk conversion of GroupWise to Outlook contacts. Now convert DBX to PST file with DBX2PST Converter. DBX2PST Converter is exceptionally fast when converting large sized DBX files to PST. Convert DBX 2 PST with attachments, metadata (to, cc, bcc, date, subject), folder-structure, read/unread status. Just Make use of InFixi PST Split Software to Split PST File by search in which you can Split your PST File through Sender( from ) or receive (To) ID. Our best Microsoft PST Split Tool helps you to Split PST File by Size Manually.